CoastTec is the only APC-certified out-of-warranty service center and APC-certified refurbisher/reseller for single-phase APC Uninterruptible Power Supplies (UPS) in the United States. 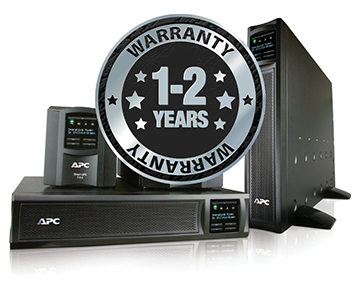 For more than three decades, we’ve saved our customers time, money, and headaches by offering the very best APC UPS repair service and refurbished APC UPS equipment on the market. Our technicians are factory-trained by APC for component level repair and have access to APC’s engineering change orders (ECO). This means units leaving our warehouse often work better than the originals — for half the price! We talk a big game, but we back it up with expertly-reconditioned UPS units, quick turn-around and excellent customer service. Our senior staff members aren’t hidden with their heads down in the office. Rather, these are the folks you’ll see at your office, at tradeshows, monitoring even the smallest account, and when necessary, crawling around in your wire closet to offer you the best possible solution. While you may not see them out and about, our warehouse staff are the real magicians here. Meet the team that brings UPS equipment back to life by replacing batteries, performing engineering change orders, and recalibrating voltage… and quickly makes them appear at your office. Check out the process.